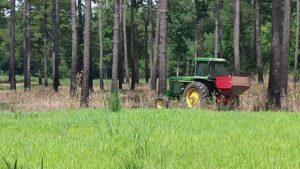 Garrett Wildflower Seed Farm specializes in assisting hunting plantations, conservationists and developers by creating restoration plans for wildlife habitat, site stabilization and erosion control, pollinator acreage and prairie restorations. Not every farm is the same; however, with detailed planning and science based species selection, the land can be transformed to beneficial uses for the customers’ expectations. 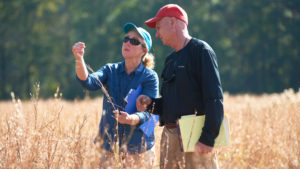 Garrett Seed has extensive experience in quail habitat restoration by experimenting with various planting and management techniques. Success can be achieved with correctly timed inputs and with an overall strategic plan. We would like to work with you on your next restoration projects. 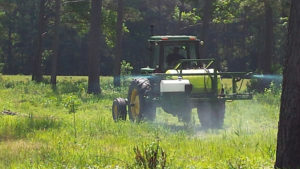 Garrett Wildflower Seed Farm offers custom seeding services for native grasses and wildflowers. We use specialized drills to accomplish the work and one of the most important keys to success is proper placement and depth of seed with proper closing wheels to get good firm seed beds. The prairie restorations can be temperamental and proper equipment and planting time are critical to success. If you would like to convert acreage into a sustainable grassland/prairie or specialized native habitats, Garrett Wildflower Seed Farm can help you accomplish your goals. We work with clients to help them understand the time and commitment needed to accomplish this task and can evaluate a site to be sure it suitable for the desired outcome. After a site visit and initial consultation, we develop a custom plan which outlines the steps for site preparation and plantings. 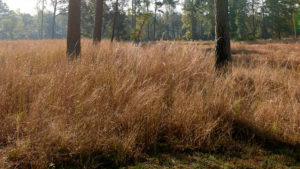 While a good start is key to the success of any habitat, a sound management plan is critical to sustaining the habitat. We offer management plan services, as well as follow up with site visits as needed. When geographically feasible, we offer large acreage planting for habitat and plant establishment as well as follow up spraying and maintenance services. Contact Garrett Wildflower Seed Farm to find out if your location is in our work zone region. To learn more about our consultant services, contact Garrett Wildflower Seed Farm by completing the form below or calling us directly 919-989-3031.